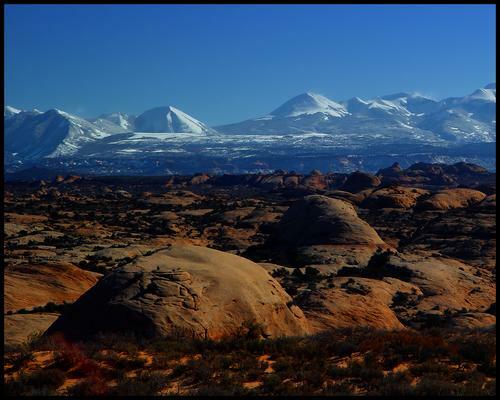 'Foothills to the La Sal Mountains' by David Sidwell - DPC Prints! This was taken in Arches National Park, in Utah USA at sunset. It is NOT a composite of two images. Please remember that the Web cannot possibly display the richness of colors of this photo. It belongs in a prominent place in your home!